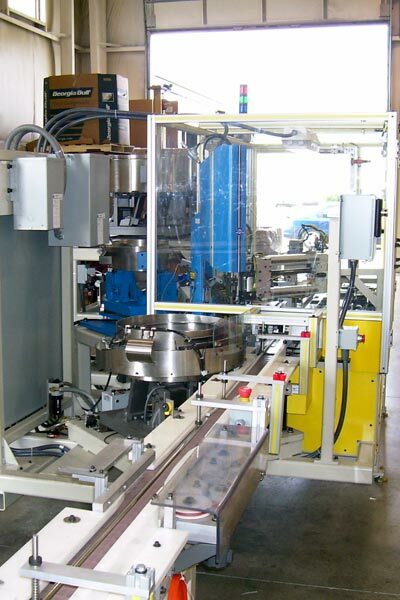 Accuworx designs and builds customized assembly and automation equipment. To streamline any process, multiple station power and free conveyor systems are built to be fully automated or used in conjunction with a variety of stations and machines that are manually operated, completely and/or partially automated. Power and free conveyance systems are designed to function with an unlimited configuration of processes depending on your specific assembly requirements. 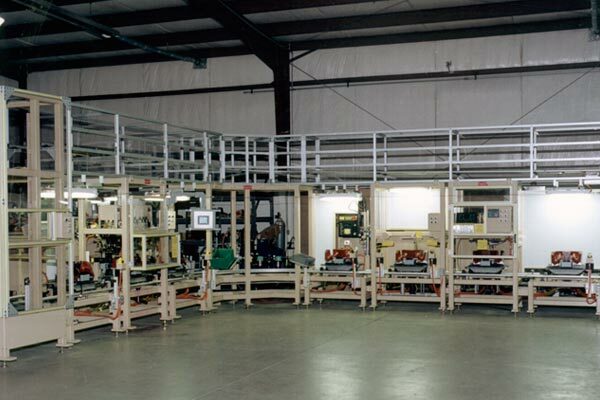 Power and free conveyor systems provide efficient movement of any production process from one station to another and can be designed to implement necessary buffer zones, advance on-demand or asynchronously. If you are looking to develop a power and free conveyor system to increase productivity and lower labor costs, look to Accuworx, LLC Because we have an in-depth knowledge of the many production processes, we can build a complete conveyor system to fit your current machines to work in conjunction. We can provide you with a competitively priced and effective solution that meets your power and free conveyor needs. We welcome the opportunity to provide a quotation for your automated power and free conveyor system needs. Please call or e-mail us today.